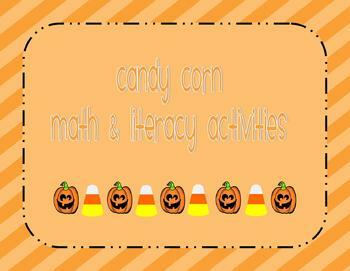 The Creative Teacher Candy Corn Math & Literacy activities are fun fall-themed centers or small group activities designed for developing phonemic awareness, number recognition, and counting skills. 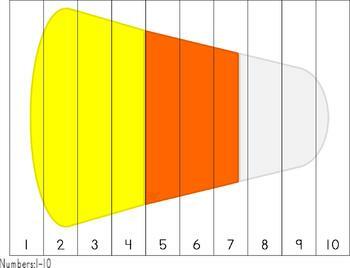 It is ideal as a small group activity (teacher-lead or independent) or set up in your classroom centers. 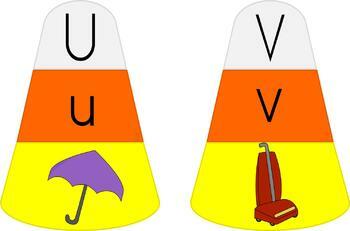 - Candy Corn ABC cards with upper- and lowercase letters and beginning sound pictures. 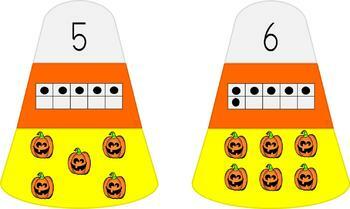 - Candy Corn Number Recognition Cards 1-10 with the number, ten frame and pictures.